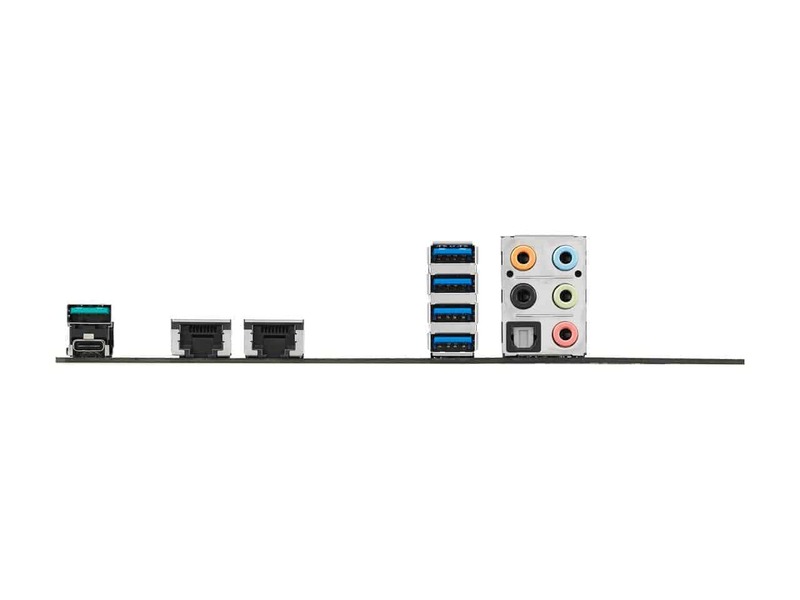 GPU POST:Recommendation for multi-VGA configuration and detailed information for selected ASUS graphics cards. SATA Port Renaming:SATA Port Renaming:Rename SATA ports for easy identification. 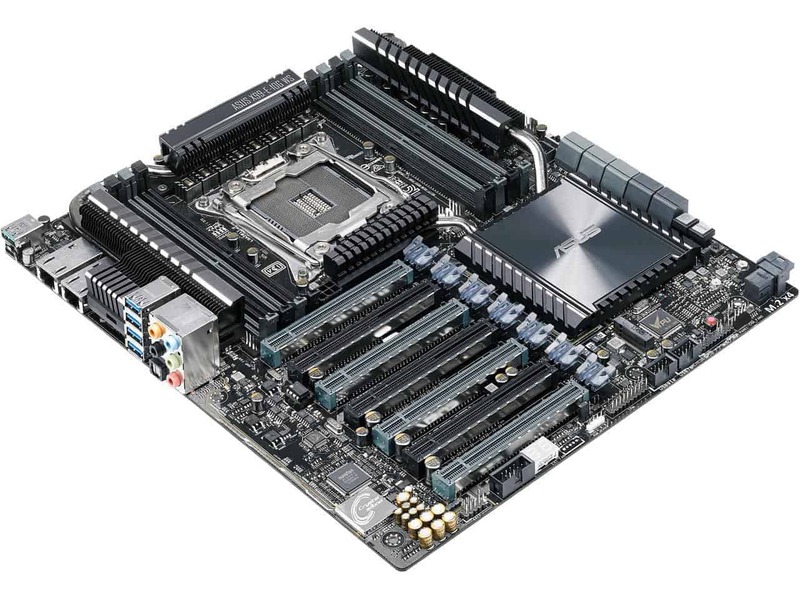 The workstation board fits next-generation 2.5-inch NVM Express SSDs with an on-board U.2 and M.2 (up to 2280) interface. This exclusive technology exploits the maximum PCI Express 3.0 x4 bandwidth of 32Gbit/s for SSD transfer speeds that are up to 5.3X faster than traditional SSDs. 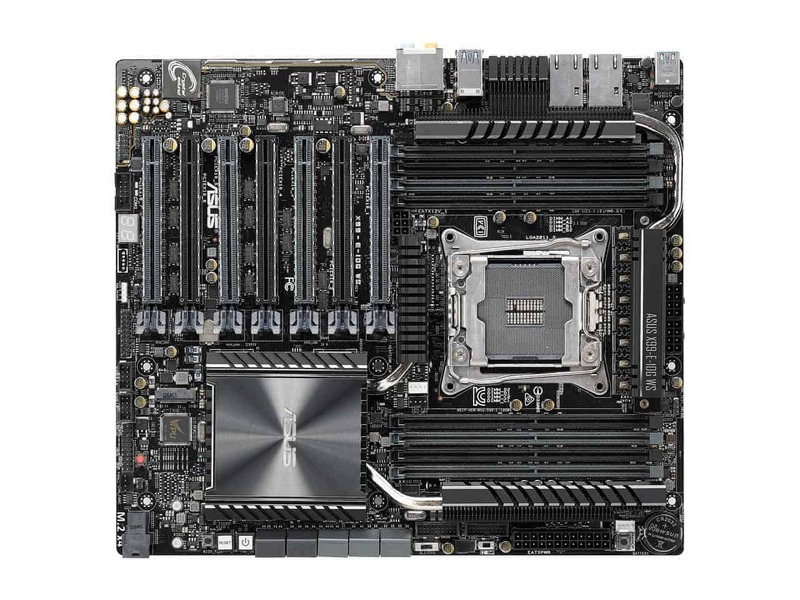 This workstation board has both the latest USB3.1 connectivity built in with Type-A and Type-C ports for the very fastest USB data transfers – that’s up to 10 Gb/s, or twice as fast USB 3.0. Type-C is the all-new reversible socket for any-way-up convenience. 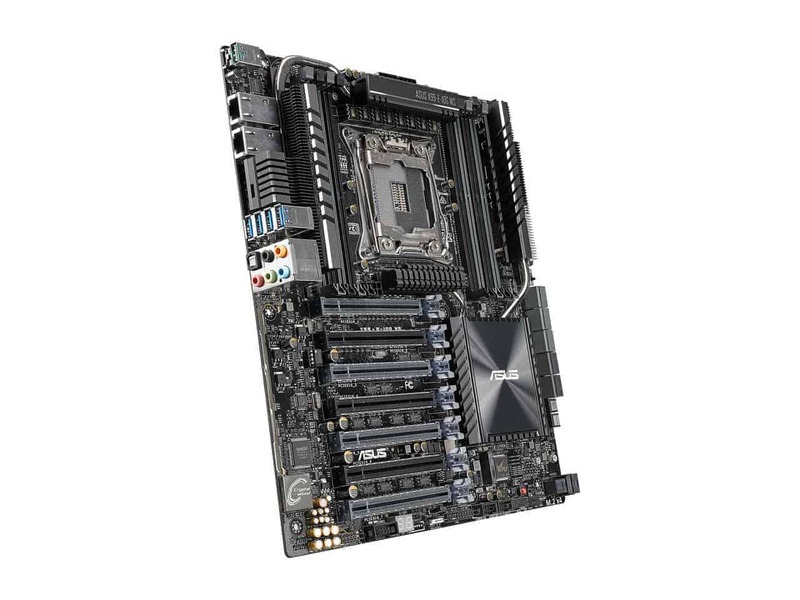 With support for both NVIDIA® SLI™ and AMD® CrossFireX™ 2/3-WAY configurations, the X99 motherboard enables multi-GPU setups so you can harness the full power of the latest graphics technologies to drive games at 4K and beyond. Enjoy your PC’s multimedia content —anywhere! Pipe music from your PC while sipping coffee in a café or sit back with friends and stream a favorite movie to a smart TV. With ASUS Media Streamer, your entertainment goes wherever you go. 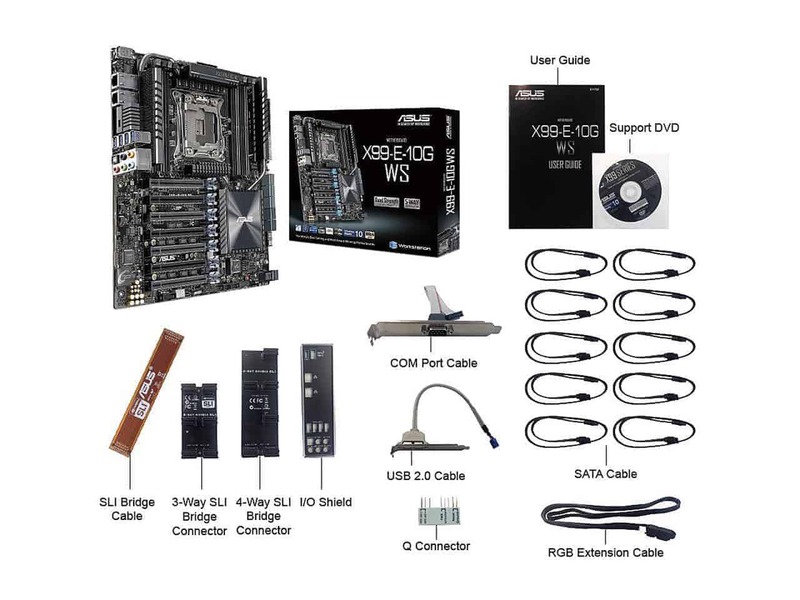 Intel® Core™ i7 X-Series/i7 Processor LGA2011-v3 ReadyThis motherboard supports Intel® Core™ i7 X-Series/i7 processors in the LGA2011-v3 package, with memory and PCI Express controllers integrated to support 4-channel (8 DIMM) DDR4 memory and 40/28 PCI Express 3.0/2.0 lanes. 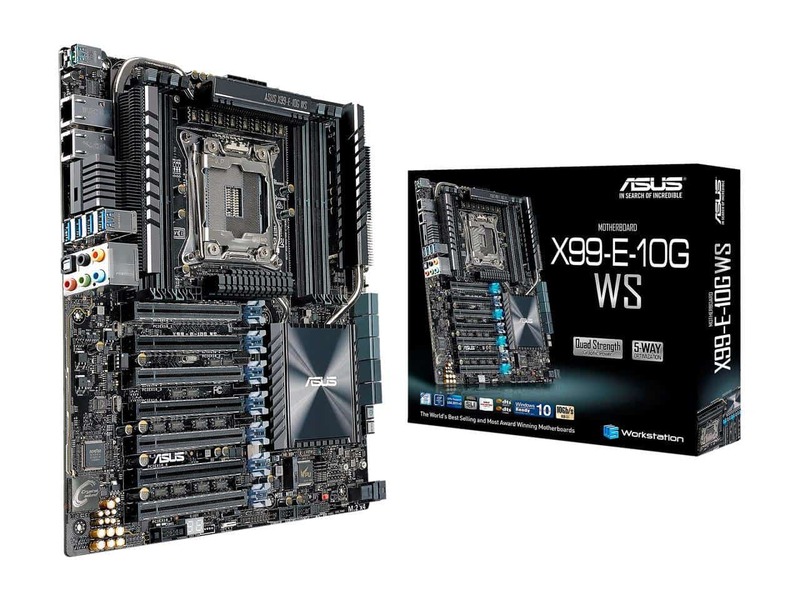 Intel® X99 Express ChipsetThe Intel® X99 Express Chipset is a single-chipset design that supports socket LGA2011-v3 Intel® Core™ i7 X-Series/i7 processors. It provides improved performance by utilizing serial point-to-point links, allowing increased bandwidth and stability. Additionally, X99 provides a maximum 6 USB 3.0 ports, 10 SATA 6Gbps ports and 32Gbps M.2 support for faster data retrieval.